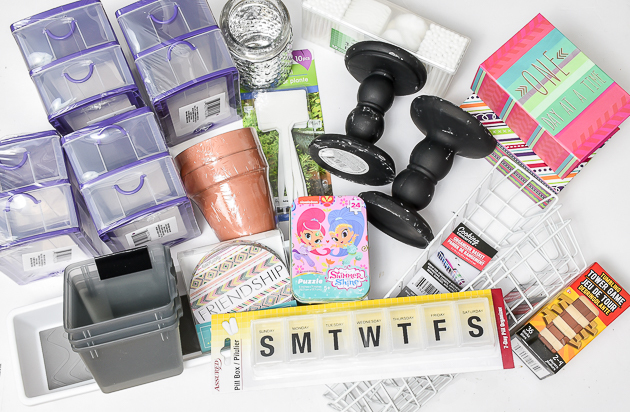 Dollar Tree Haul: The Best Storage and Decor for Updating! | Little House of Four - Creating a beautiful home, one thrifty project at a time. 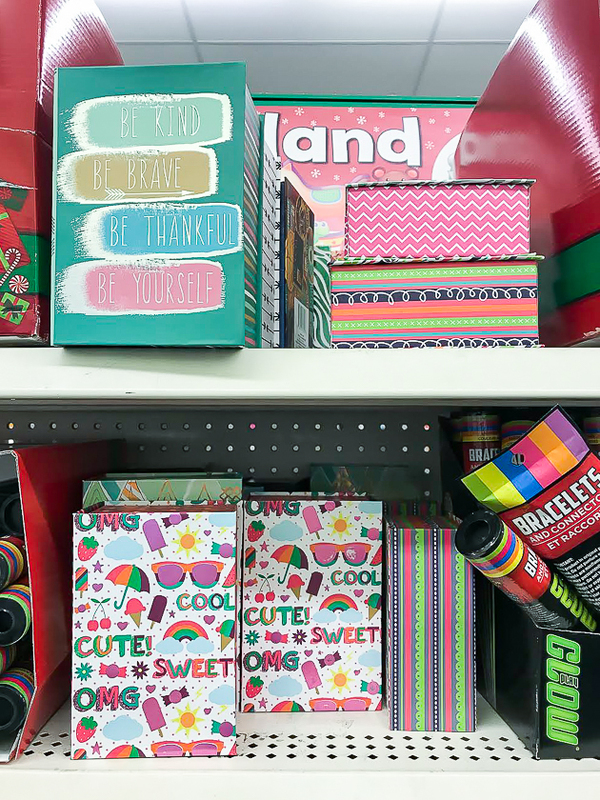 : Dollar Tree Haul: The Best Storage and Decor for Updating! 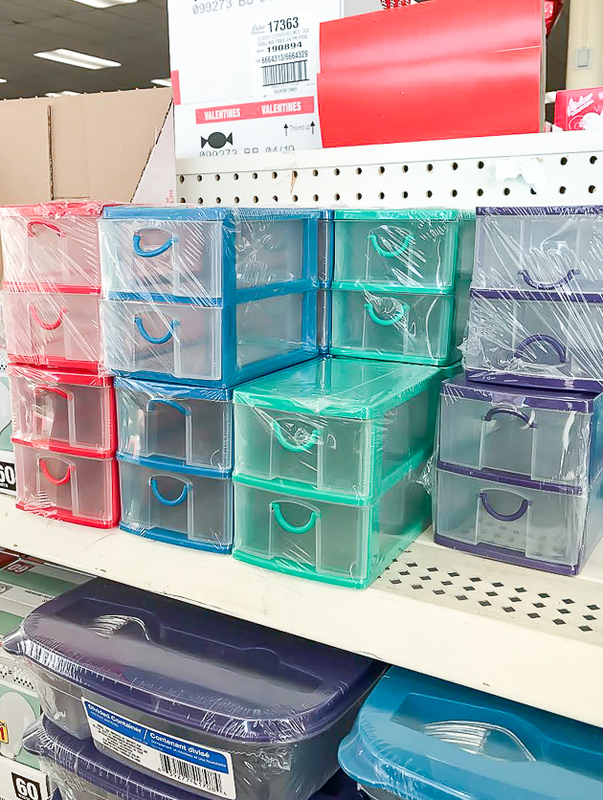 Dollar Tree Haul: The Best Storage and Decor for Updating! 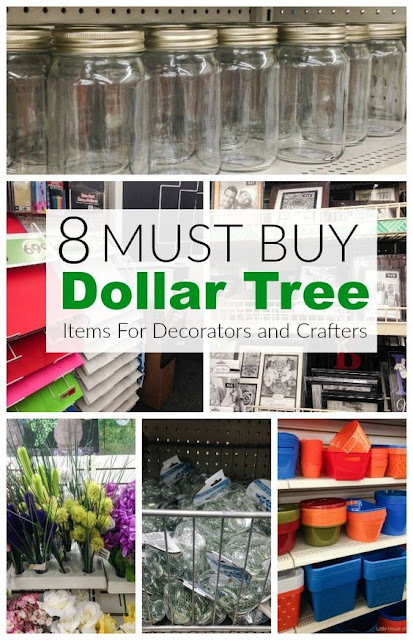 Dollar Tree decor, storage and garden items that are perfect for updating and turning into beautiful decor. 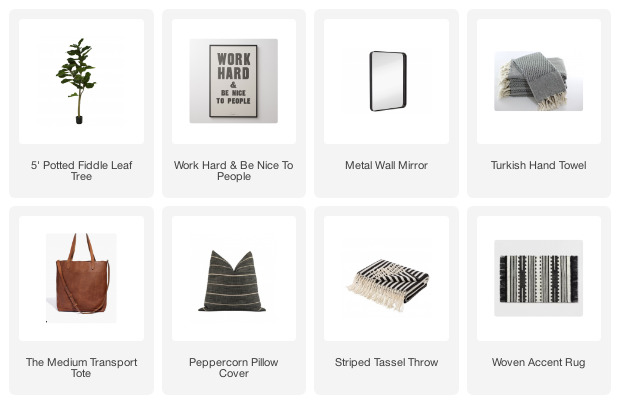 I often hear that many of you can't find items I use in my Dollar Tree projects, so I turned to my Facebook friends and asked if they would prefer if I shared my shopping trips and hauls BEFORE I actually get around to posting the makeovers. Many of you preferred that I share my hauls, so today I'm sharing what I purchased from my late December shopping trips. Disclaimer: I am in no way affiliated with Dollar Tree or compensated for sharing their products or completing makeovers. 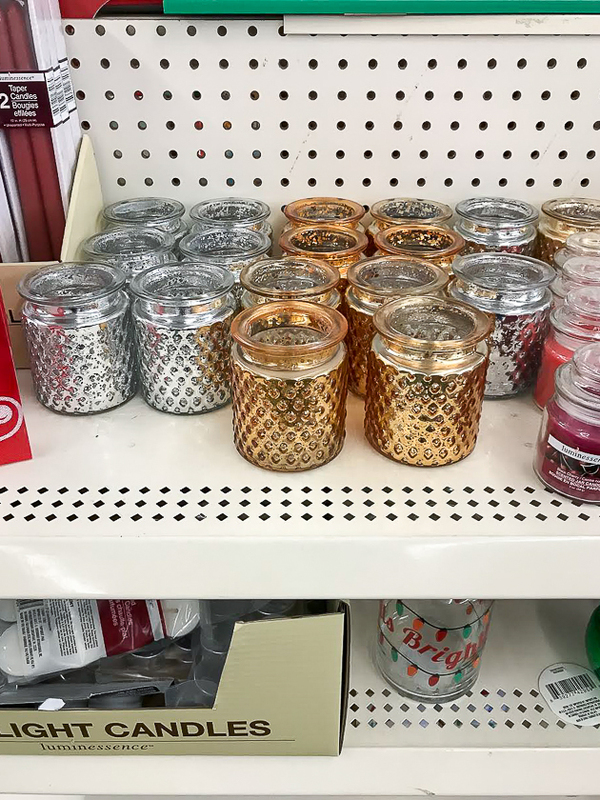 I made a few extra trips than normal in late December because I was in search of more mercury glass votives. I updated a few for Christmas and I wanted a few more to give as gifts to the bus drivers and teachers. 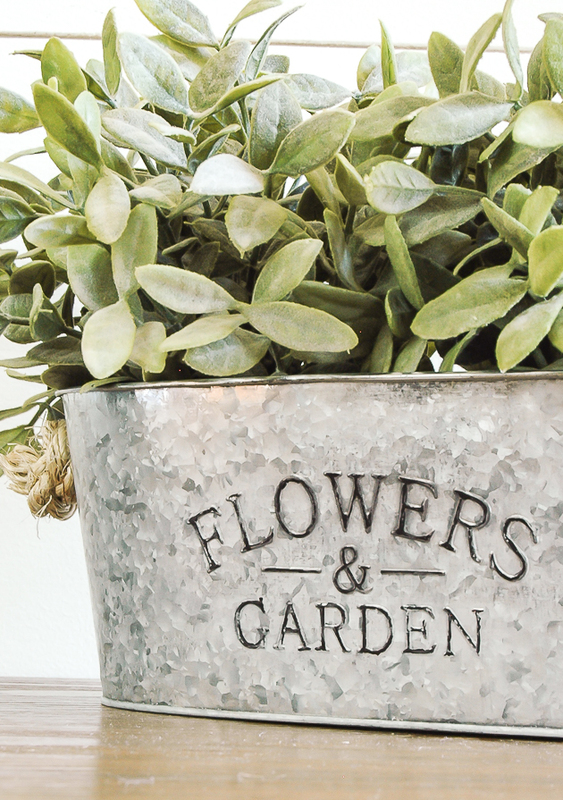 They are perfect for adding a bit of sparkle to a tablescape and you don't even have to update them. Just pop in a candle (Dollar Tree sells 4 votive candles for $1 or two electric tea light candles for $1) and you have instant table decor. I also picked up a red glass candle holder to update for Valentines Day. I don't really decorate or celebrate Valentine's Day (our idea of celebrating is ordering Chinese), but I still wanted to do a little Valentine craft. Update: You can see how I updated them for Valentine's Day HERE! 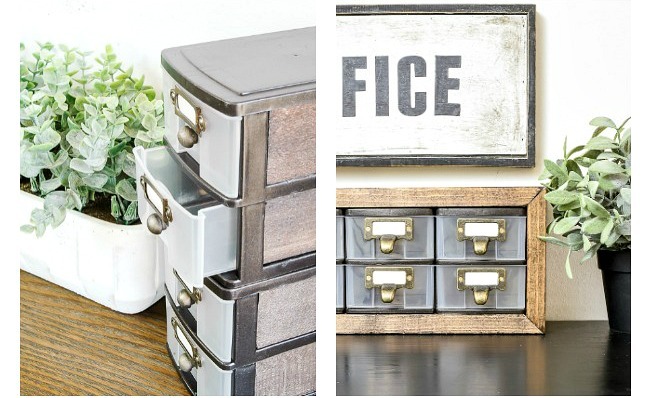 Of course, I was also in search of my favorite small stackable storage drawers. I've only seen them in January, so stock up if you want them. I bought six but only ended up using four in a recent makeover. I also bought 3 small cardboard storage boxes. They had a variety of sizes and patterns and even have a little magnetic closure. 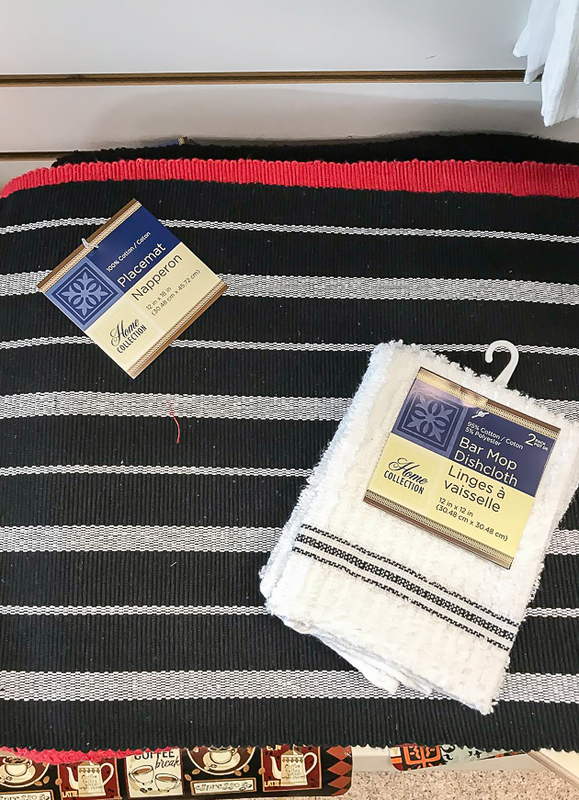 They are the perfect size to keep small craft supplies organized or you could even use the smaller size in a medicine cabinet. I bought mine just before Christmas and when I went back after Christmas one of the stores had them marked down 50% off. They aren't really Christmas related, so hopefully, you can still find them if they are something you are interested in. I simply painted mine white, covered them in scrapbook paper and added metal labels to the front. While I'm on the subject of organizing, I also bought a 7 day pill organizer, 3 wire organizers, 3 gray plastic bins, one white plastic organizer and a Q-tip and cotton ball container. Can you tell I have organizing on my mind? 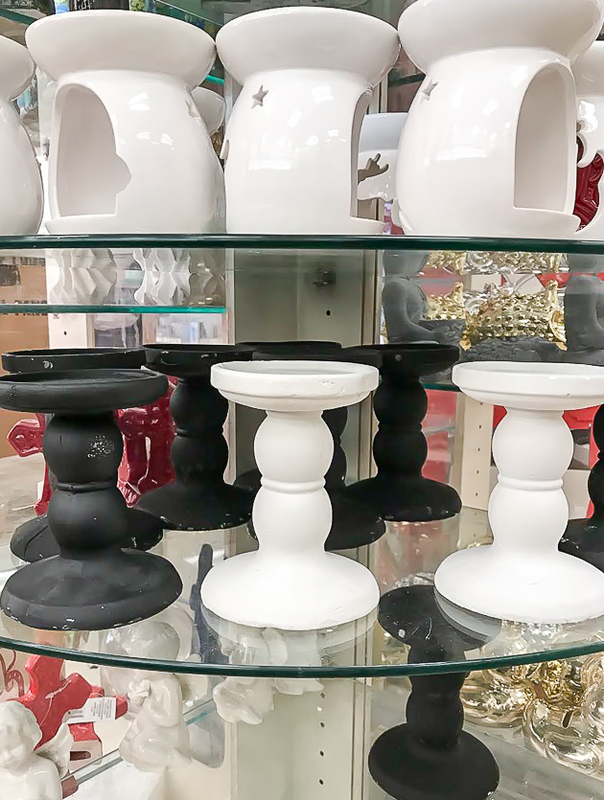 I have seen others sharing these black and white pedestal candle holders and I FINALLY found them after visiting a new store. 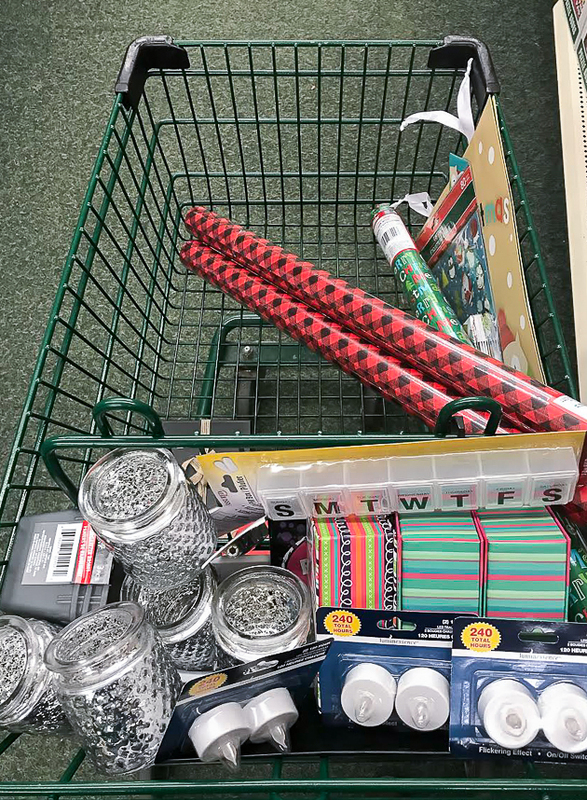 My daughter wasn't thrilled that I dragged her into Dollar Tree after her Orthodontist appointment, but I wasn't about to pass up the chance to hit up a new Dollar Tree. Update: You can see how I transformed them HERE! Unfortunately, I don't have much faith in them after reading the horrible reviews, but I'm still going to try and give them an update and hope they don't break on me. 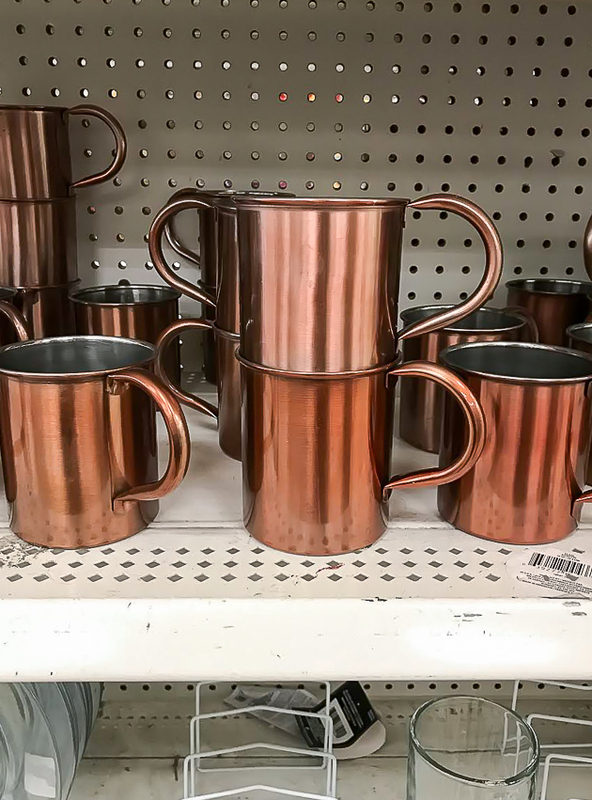 I also found these copper looking mugs that I've never seen before. If I didn't already have enough copper and white mugs, I would have bought a few to display on my mug drying rack. I'm weird about drinking out of certain materials, so I probably wouldn't buy these to drink out of, but that's just me. And check out these cute farmhousey (is that even a word?) 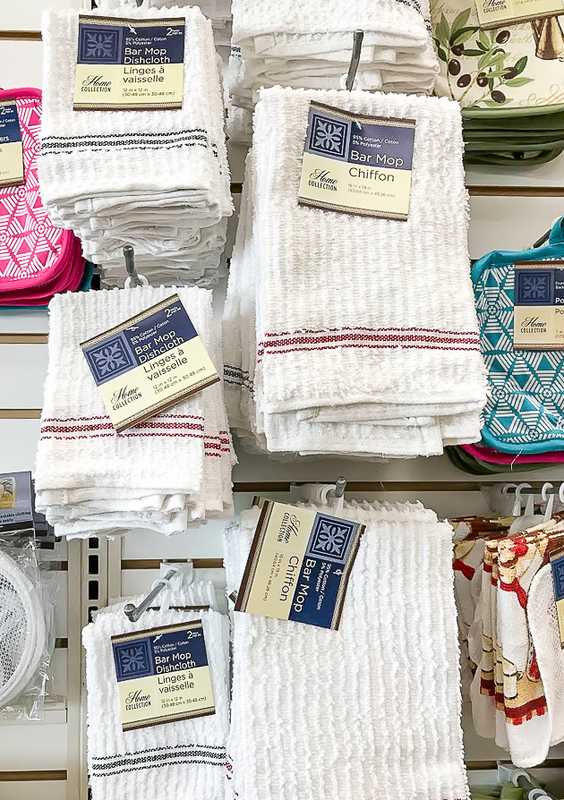 dish towels and dishcloths. They are pretty thin but would be perfect to use for cleaning. I even saw matching red and white and black and white placemats. They would be perfect if you have a black and white color scheme in your kitchen or dining room. You could even buy two and make a lumber pillow out of them. 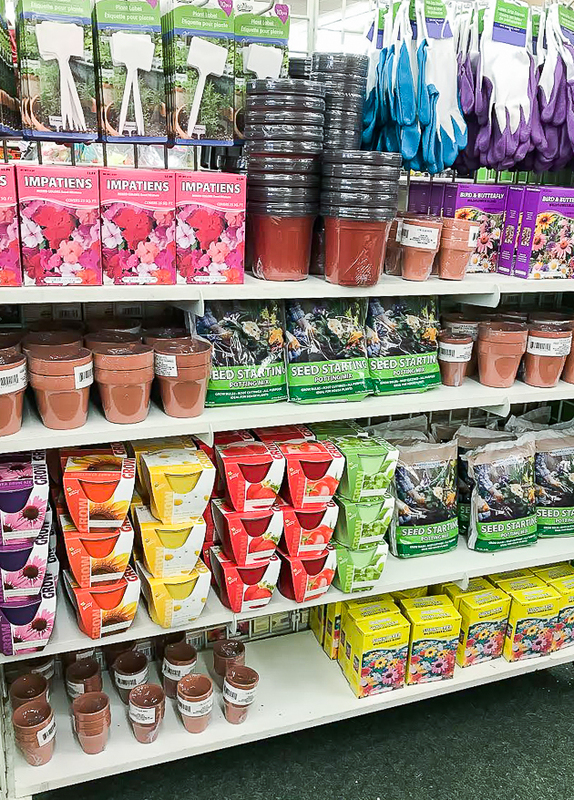 I knew they were starting to pull out Valentine's stuff, but I was pleasantly surprised to see Spring and Garden inventory. I couldn't pass up a pack of 10 plastic plant labels and a set of medium size terra-cotta clay pots. There are so many possibilities with both! Update: You can see how I updated them HERE! 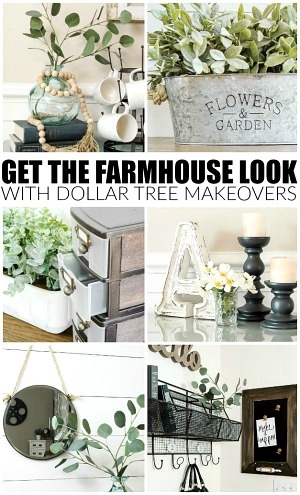 Now that January is here and Dollar Tree is stocking their stores with storage, garden and Easter items, I thought I would share a few past projects that you might want to keep an eye out for. 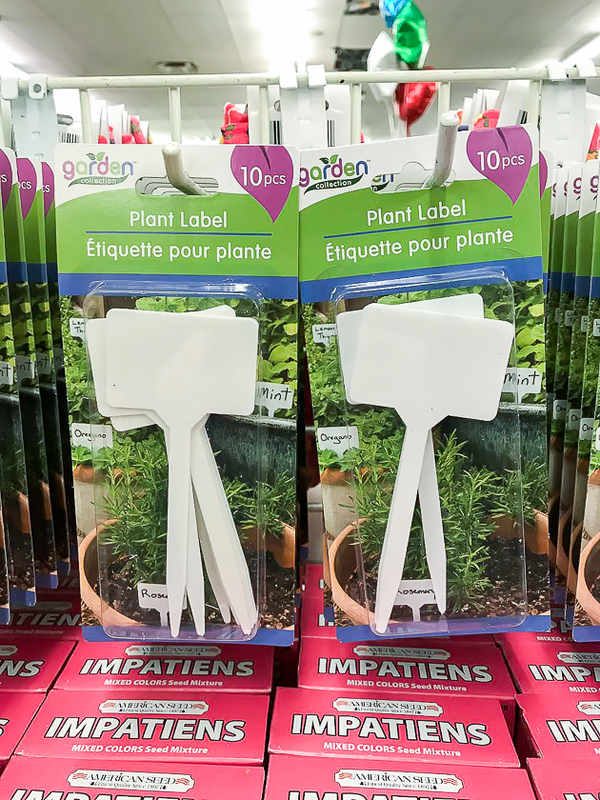 In the garden section, they carry a metal planter that says " Flowers & Garden." It's perfectly fine as is, but with the help of a few household supplies, you can give it a perfectly aged look. 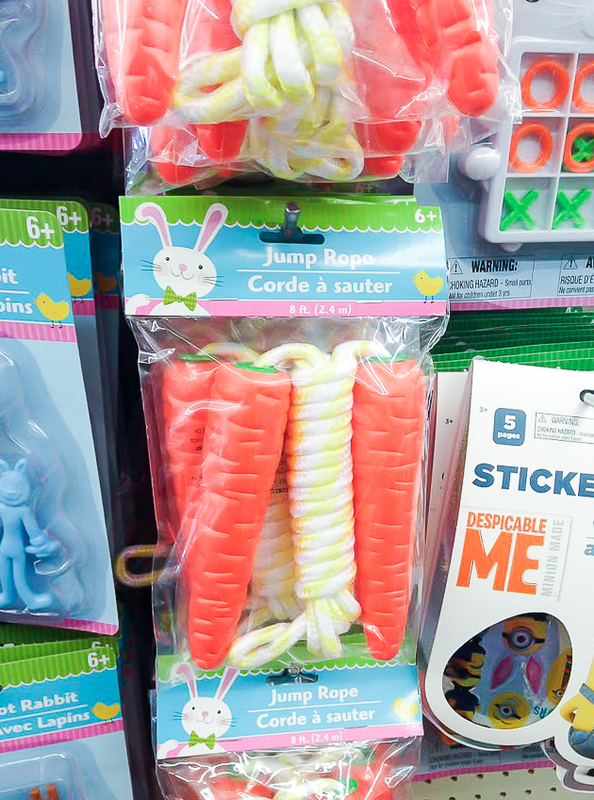 Another favorite item to keep an eye out for are the carrot jump ropes. 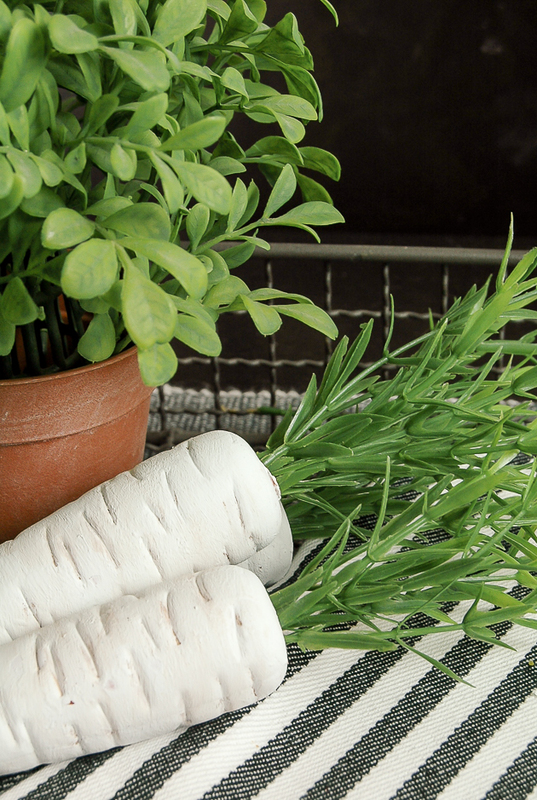 With a little updating they can make a great addition to your spring and Easter decor. I'll be hitting up the Dollar Tree more often over the next week or so to see if they stock any new Valentine and spring decor. 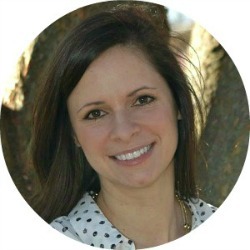 If I find anything worthwhile, I'll be sure to share another update. 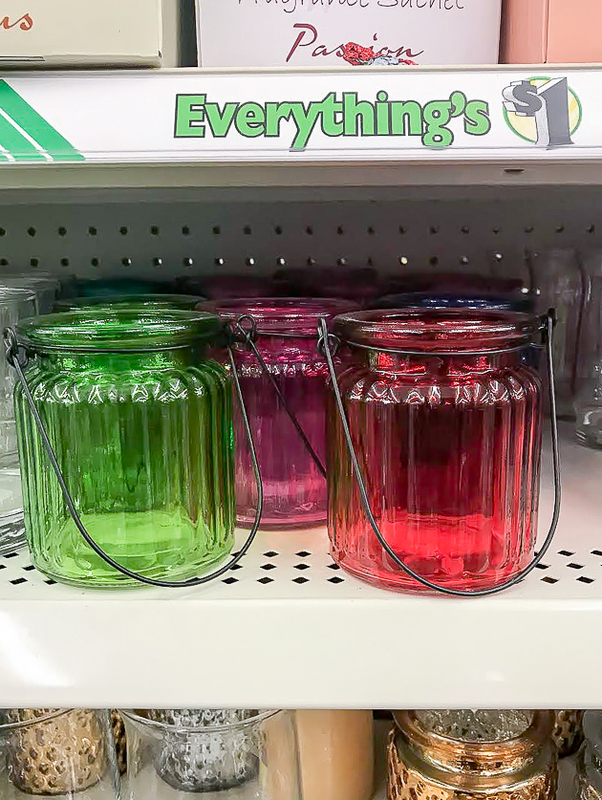 Have you found any new Dollar Tree items lately? I'd love to hear about them! 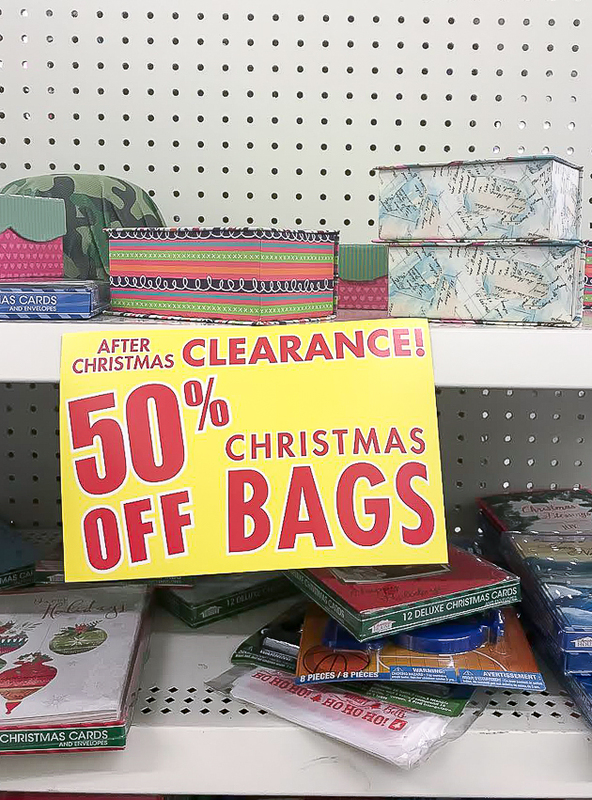 My Dollar tree does not have some of the things yours has, or else they must fly off the shelves immediately! So with that, I am heading off into the cold to Dollar tree! Thanks for all of the inspiration you bring us, and happy new year! I am interested to see how you plan to "remake" these items!